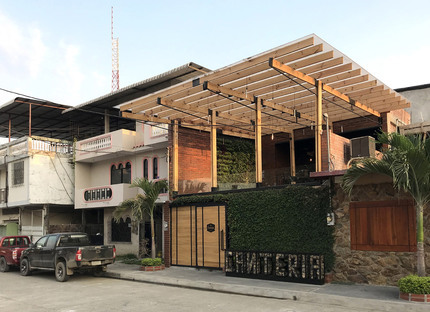 The architecture studio Natura Futura continues its projects in the urban fabric of Babahoyo in Ecuador, where architecture is being used as a driving force behind the revitalisation of whole neighbourhoods. 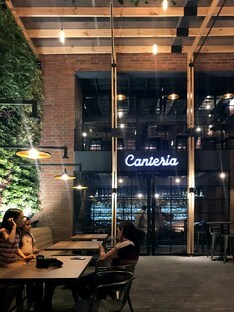 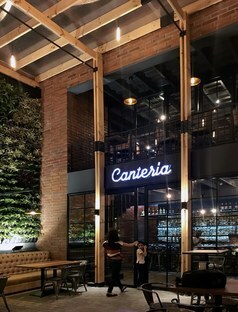 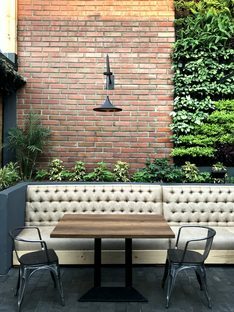 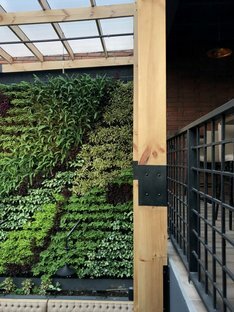 The Canteria Urban Restaurant is just one virtuous example of the work by the team of designers headed by José Fernando Gómez. 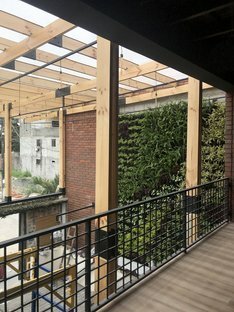 It’s no coincidence that El Comercio, Ecuador’s leading daily recently dedicated a full page to the young architect José Fernando Gómez, who founded the Natura Futura Arquitectura collective based in Babahoyo, a city with a population of 140,000 and growing in the province of Los Ríos, Ecuador. 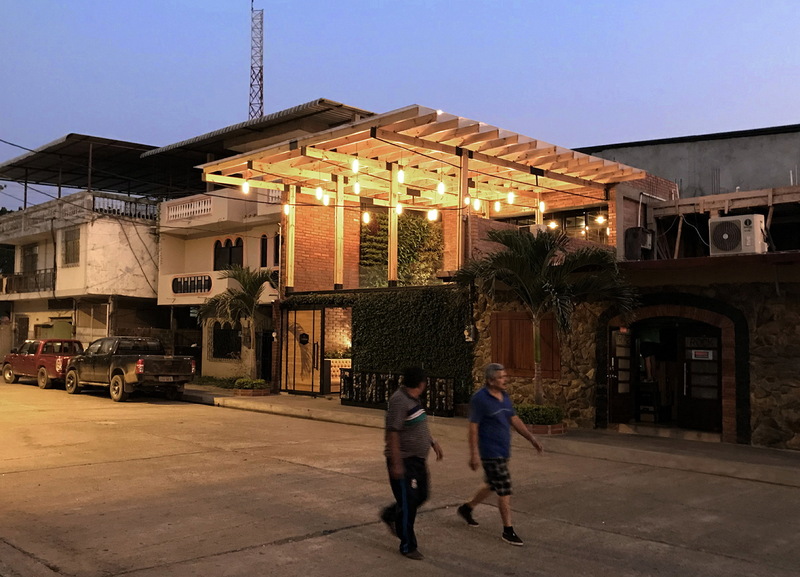 Because Gómez is of the opinion that quality architecture should not be expensive and he works accordingly, focusing a great deal not only on the selection of building materials but also on the construction methods used and on getting the locals involved. 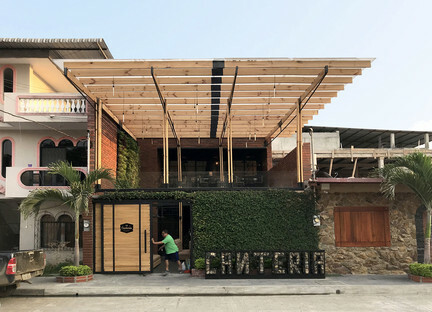 Natura Futura Arquitectura’s latest creation is Canteria Urban Restaurant, part of a series of interventions in the urban fabric of Babahoyo that focus on underutilised or abandoned spaces, where architecture acts as a catalyst for the revival of the neighbourhood and generates new experiences. 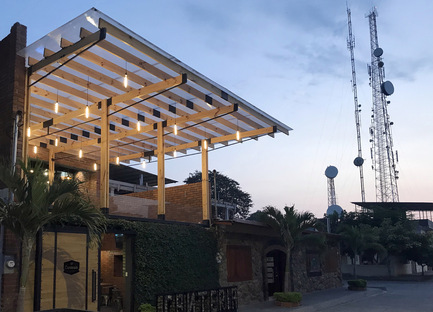 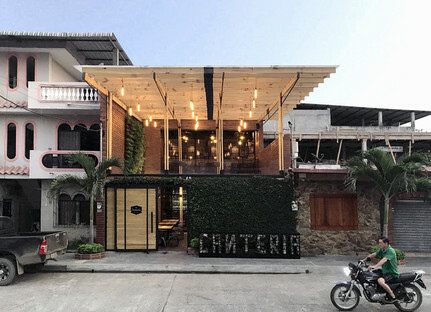 So, after seeking and finding a building that had already been set up as a restaurant but was now unused, the architects took steps to bring it back to life with the same end use, at the same time turning it into a meeting point for the neighbourhood. 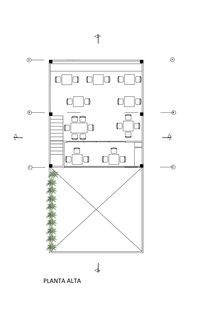 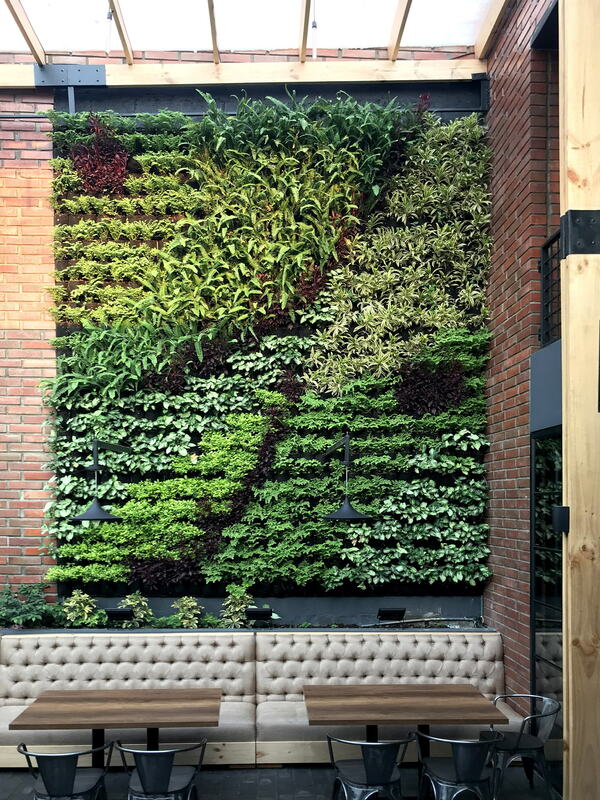 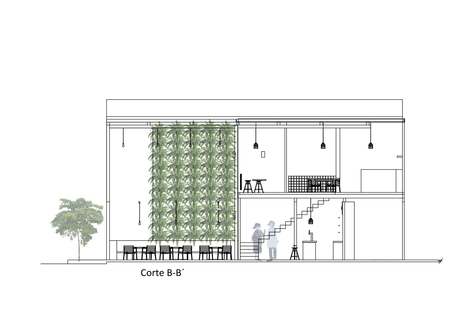 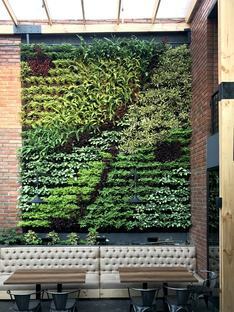 The volume is divided into three main areas: the double-height patio acts as an outdoor dining area, decorated with a flourishing vertical garden; the ground floor where the services (kitchen, bathrooms, cellar and bar) are located, and the upper floor with its own terrace that connects directly with the patio below. The patio and terrace are protected from the elements by a translucent roof of polycarbonate panels held in place by a timber and steel framework. 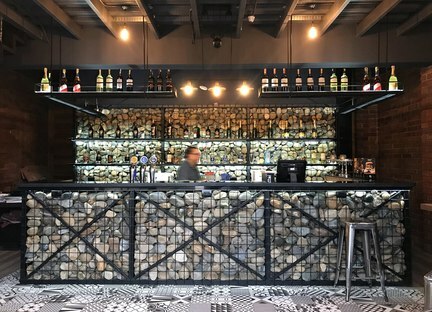 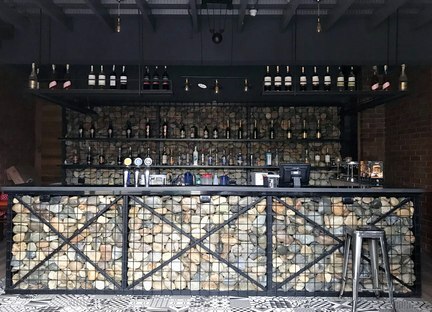 Then, for the bar counter, the architects from Natura Futura Arquitectura opted for metal gabions filled with stones sourced from the nearby river. 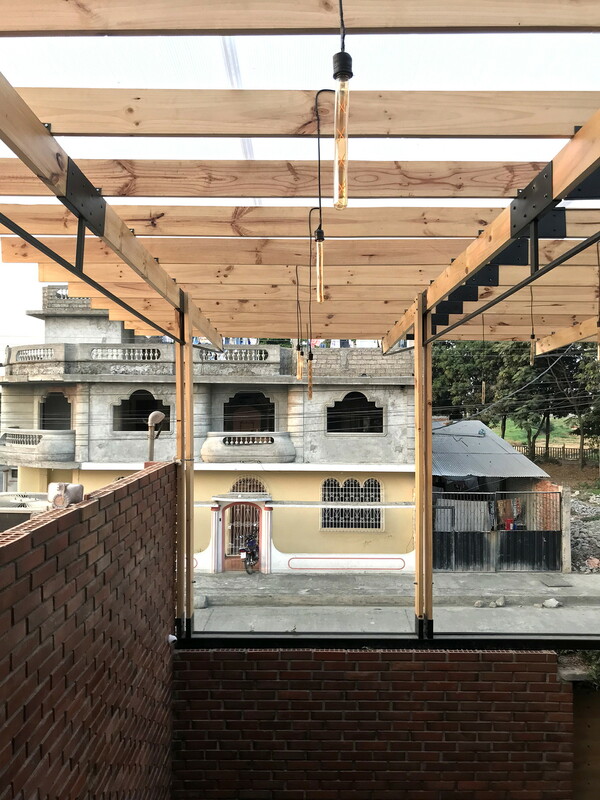 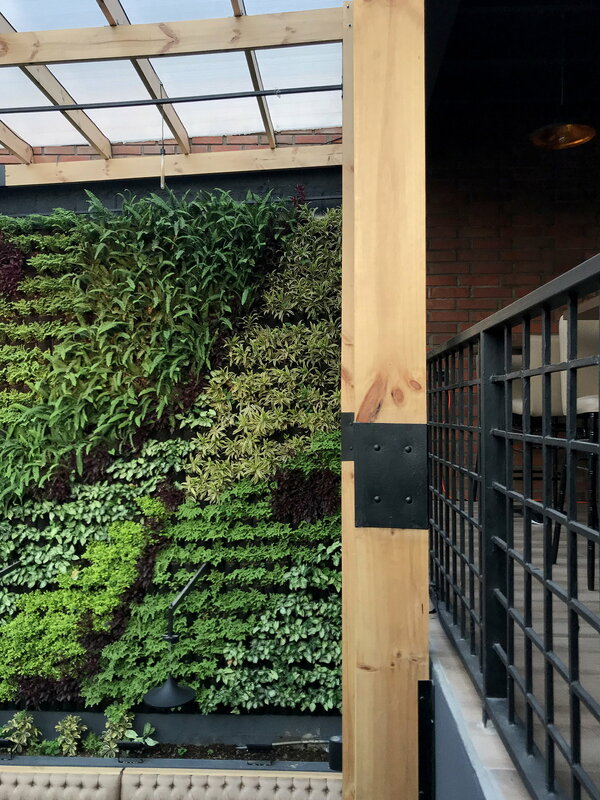 This is in line with their design approach, which has always fostered sustainable solutions, both when it comes to finances and for the environment. 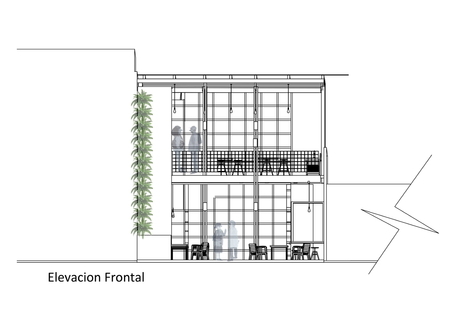 However, they do all of this without compromising on what is the fundamental aspect of their architecture: its beauty.